In early 2015, I will be an aunt again! My sister is having a baby … and now, after much debate (which you can read about here) we finally know whether to buy pink or blue bibs! All along I’ve been guessing her new baby is going to be a boy, dreaming of onesies decorated with jungle animals, blankets edged in blues and greens, and plenty of toy trucks and balls galore. Boy, oh boy! Was I ever wrong! My sister is having another girl … and quite truthfully, I am still tickled just as pink! There will be dresses trimmed with lace, hair bows, dolls and tea parties. Oh, I can hardly wait to meet my newest niece! For the past week or so, my sister and I have been discussing names via text messaging. This is probably the safest way for us to handle discussions on this topic. I’m not naming any names but one of us used to pick weird names for our dolls and stuffed animals. We’ve been arguing quibbling over names ever since. This time the list of possible names has approximately one that I really like: Abigail. The rest of the list is consists of names that are cute but I would never chose for one reason or another, as well as several names that cause me to question my sister’s sanity. None of them are quite as bad as something like Bertha, but a few of them are just a step or two away. Hopefully, my brother-in-law won’t like those options any better than I do. My sister doesn’t always choose strange names. Her younger daughter has a beautiful name, Bethany Sage. Immediately upon finding out this newest addition was going to be another girl, I thought how sweet it would be if her daughters had rhyming names. And, in case you hadn’t thought of it yet, Sage rhymes perfectly with Paige. Personally, I think Abigail Paige is an adorable name! It’s timeless and classic, with a Bible name thrown in for good measure. In my unsolicited opinion, this is the sort of name you cannot go wrong with giving to a daughter. Besides, I am quite certain that “little Paige” would love sharing a name with her favorite aunt. Unfortunately, my sister has not been agreeable to my suggestion. My sister’s oldest daughter is actually her step-daughter so she obviously didn’t pick out her name, which is Madison Rose. However, there is a little connection between those two girls and their middle names. Perhaps you noticed it too. Rose and Sage are both color names, as well as plant names. Though I am positive this wasn’t a pattern my sister intended to start, I see no reason she should stop now that it is going. That’s why I’ve spent a lot of time compiling a lengthy list of appropriate names to help my sister continue this pattern when picking out a name for baby girl #3. For example, Violet is a lovely name that is also both a color and a plant. I also came up with a list of just color names: Scarlett, Ruby, Amber and Pearl. My list of plant names included Daisy, Lily and Ivy. Of course, I am not the only one sending my sister suggestions. My mother suggested the very unique name Teal, going along with the color theme. The name Hazel came up in a recent conversation with my sister. Not only is it growing in popularity thanks to its appearance in recent books and movies, but it is the name of a color as well. I also pointed out that it could even be short for the plant named Witch Hazel, which may seem like a bit of a stretch but I thought I’d mention it anyway since there is the naming pattern of plants and colors to consider. However, when my dad heard about the name Hazel being a serious option, he ranted that he was not at all in favor of naming any of his granddaughters Hazel because once when he was in elementary school he had a mean teacher by that name. Apparently, nearly 60 years later, he is still holding a grudge. Of all the things associated with having a baby, perhaps agreeing upon the name is the hardest part. Should the name be traditional, popular, unique, old-fashioned or ethnic? Should the baby be named in honor of a relative or friend? After a beloved character in a book or movie? Should the spelling be traditional or creative? 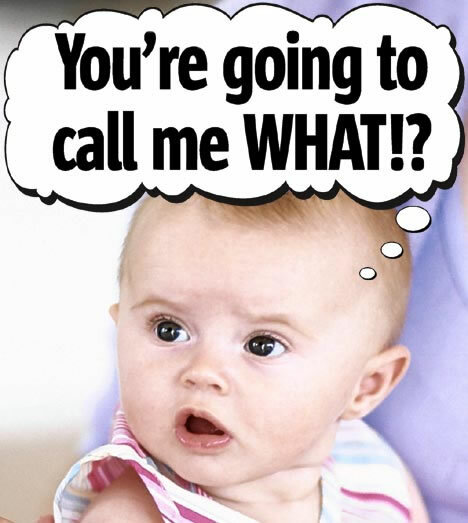 There are sometimes additional “rules” which some parents require names to meet before using on their second, third, and fourth babies. These might include certain standards such as names only starting with certain letters or choosing names that fit a specific pattern (for example, presidential names). Sometimes it’s even things like desiring the entire name to contain an exact number of syllables. It is at this point in baby name conversations that I always pause to wonder about the Duggar family. How on earth did Jim Bob and Michelle ever manage to find 19 names all beginning with the letter J that they both liked?! This is perhaps the biggest naming mystery for our generation. Once all these questions have been answered and the “rules” have been followed, then the parents (who we must remember are two individual people and likely have vastly different opinions) must somehow actually pick a combination of two (or maybe three) names that they both like and can live with, all the while praying their baby will grow up to like the name as well. Talk about a daunting task! It’s a wonder any of us have names at all! My grandfather didn’t have a name until he was nearly a year old. I suppose his parents couldn’t agree upon what to name him. For months he was just called “Nookie” until they finally decided to name him James Herbert. I guess we can all be thankful that they didn’t decide to stick with Nookie. Actually, I can relate to my great-grandmother’s reluctance to name her baby. Don’t get me wrong … naming my children wasn’t a horrible experience. In fact, many parts of the process were definitely fun. 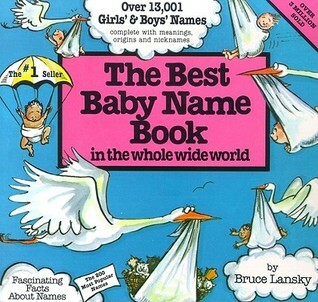 Thumbing through baby name books while pondering the plethora of fantastic names out there from which I could choose, daydreaming about raising a child with various names, asking other moms (and dads) how they named their children and hearing some wonderful tales. I’m so glad for those memories. And yet, as the weeks turned into months, I found myself fretting that I would ever find the right name for my unborn child. It’s big task to give someone the name they will have for all of their life. What if my baby grew up to hate their name? What if they hated me for giving the name to them in the first place? My husband Jon and I have never named a child together. We are currently raising a blended family of five children, and are preparing to open our home to foster children in the very, very near future. Truly, our house is overflowing with the blessing of children! My husband and I share a lot of the same likes and dislikes in many areas of our lives. Names for children is not one of those areas. Perhaps it is a good thing that foster children come already named! If you don’t know who I am referring to, it’s Jesus Christ. He is the Messiah, Immanuel, God with us. His name has the power to bring salvation to a dying soul, break the chains that keep prisoners bound, and set the captives free. It’s the only name in heaven and on earth that matters. There is just one name I’ll proclaim. It’s Jesus, Jesus, Jesus … the sweetest name I know! Abigail Paige a sounds like a pretty name to me! If I had a vote I would vote for Violet as her middle name. It is a color, a plant, and its a shade of Purple! Miss y’all. I want to be invited to the shower! Karen, I will make certain you are included on the invitation list! We miss you too! I am partial to Abigail Paige, too! And thank you for reminding us of the importance of the Name above all Names! It does feel like a great responsibility, when we were expecting our daughter we couldn’t decide on a name, but when she was born we just knew she was a Mary. As the only Mary in her school and indeed one of the few with “simple” name she took to hyphenating it with her second name, making her own choice of name. 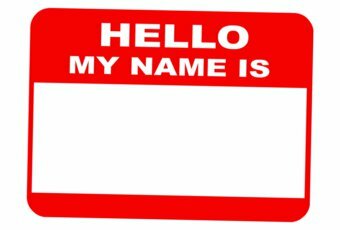 Most of us just put up with whatever our parents choose for us, whether we actually like our names or not, it is normally only those on stage and those of us who change gender that get to choose our own name. When I had the opportunity I chose to stay with the name my parents selected but just added an a, after all I couldn’t carry a better name than that of the ultimate evangelist, (but there is no way I could ever be a Pauline! ).